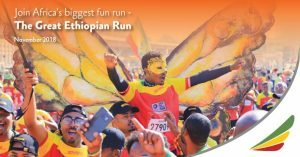 Addis Ababa (Ethiopia) – September 25, 2018 (travelindex) – Join the greatest fun run in the world in the land of runners, Great Ethiopian Run 2018 with ET Holidays offer. The 10k event is the biggest running event in Africa with more than 40,000 participants, 500 elite runners and several hundred runners from overseas. Great Ethiopian Run marked the first time that a major annual 10 km race had been held in the country, renowned for producing world class runners. The run takes place in the capital city of Ethiopia, Addis Ababa, which is 8,000 feet above sea level making it a must do event in the running calendar. And More It’s been referred to as ‘the most exciting race in the world’; it is almost certainly one of the world’s noisiest, full of laughs races that switch the whole city to Carnival mode; and it attracts participants from all over the world. Book this Fun with us and start with introduction to Beautiful Addis Ababa Nestled at the foot of Mount Entoto Addis Ababa enjoys a subtropical highland climate and the temperature is relatively constant throughout the year. your tour of the city will also include National Museum, Holy Trinity Cathedral in addition to sightseeing of the city.